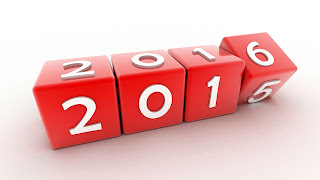 Everybody is ready to check out of the year 2015. In less than 5 hours, HAPPY NEW YEAR will be the new song every Nigerian will be singing to each other. So many countries ahead of us in the Time zone would have seen the new year already. Thou not the first and surely not the last, Nigeria will see the brand new year ahead of so many other countries behind us in the time zone. But the question is... how was 2015 at your own side? I lost my best friend this year. OMOJOLA TOLULOPE EBENEZER just a semester to our graduation. It was the saddest day of my entire life. I miss him so much and writing this is also bringing back memories but am a man, and men don't break down. I wish he is here to see my blog. He would have helped me more than anyone to promote it. But what can i say. This world is no place to live forever. Thou ever since his death, life has little or no meaning to me. and till now, I still wonder why some people still take the life as something they wont let go someday. He lived a good life, and am proud am part of it. So no matter what 2015 took away from you, 2016 is almost here and promises to be better. HAPPY NEW YEAR TO ALL THOSE WHO WISH OTHERS WELL!!! 0 on: "2015 DIES TONIGHT"